This right here might be my stoner rock record of the year. 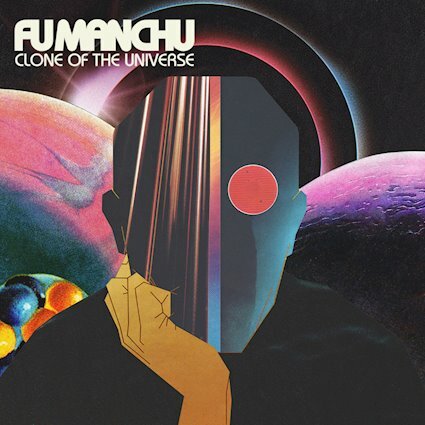 fu Manchu have always had a special place in my heart, but Clone Of The Universe is an album that pushes this group over the top. Chock to the brim with powerful riffs, searing vocals and wiped out vibes that can't help but to fascinate it's readily apparent that Fu Manchu still have some of their greatest work to come. This record, featuring a guest appearance of Alex Lifeson of all people is a fascinating musical journey and one that you're going to want to come back too time and time again. The thing that has always made Fu Manchu special has been the quality of the songwriting and this record is no exception. Every song it feels like features a massive chorus, delicious riffs and a reason to come back to it and spin it another twenty times. this is the sort of record that as soon as it ends you let go on repeat because it's simply that perfectly put together. there is something utterly entrancing about what has been done here and with tastier guitar playing than ever before, Fu Manchu can't help but to mesmerize the listener. This isn't just a stoner rock record, it's a record for people who love music. Balancing wildass fun jams like Don't Panic with moodier numbers and making for a strong overall ride Fu Manchu put a smile on your face with Clone Of Thee Universe. It's a record that speaks to every side of the bands career and even has one of their most stunning epics to date, the side B dominating opus Il Mostro Atomico. It forces you to come to terms with the transcendent beauty of this band and their ability to do everything from straight up punk rock to fuzzy freaked out heavt metal absolution.